Graduates from around the world will have their degree awards conferred during 2017 graduation ceremonies at the University of Southampton (19-27 July). Among approximately 5,000 graduates receiving their undergraduate, postgraduate and doctoral awards this year are the first group of Electrical and Electronic Engineering students to complete their degrees via University of Southampton Malaysia. They’ll be joined by the second group of Mechanical Engineering graduates to start their degrees at UoSM. The students spent the first two years of their MEng programme at the EduCity@Iskandar development in Johor, Malaysia, before transferring to Southampton for a further two years of study to finish their degrees. The University will also celebrate the academic achievements of sporting graduates Annabel Vose (first class honours in Naval Architecture) and Ini-abasi Umotong (first class honours in Economics and Actuarial Science). Annabel recently sailed to victory in the Red Bull Youth America’s Cup in Bermuda in June as strategist for the Land Rover BAR Academy team. Ini-abasi has represented her home country, Nigeria, and led the English FA Women’s Super League 2 in scoring last season whilst playing for Oxford United, earning the League’s Player’s Player of the year award. Dr Sarah Caddick (Honorary Doctor of Science) – Neuroscience Adviser to Lord Sainsbury of Turville and the Gatsby Charitable Foundation. Dr Caddick is a neuroscientist who has held leadership roles in academia and private/public grant-making organisations, where she has been responsible for the development, oversight and restructuring of strategic, programmatic, operational and grant-making activities across a broad range of scientific disciplines. Fiona Dalton (Honorary Doctor of Science) – Chief Executive at University Hospital Southampton (UHS) since 2013, she was previously Director of Strategy and Business Development at UHS, and Deputy Chief Executive at Great Ormond Street Hospital, London. Last year the combined UHS and University of Southampton bid for a new Biomedical Research Centre was successful, and the hospital and university continue to have a strong relationship in both research and education. Steve Etches MBE (Honorary Doctor of Science) – a plumber by profession, he is a palaeontologist from Kimmeridge on the Isle of Purbeck in Dorset who has amassed an unrivalled collection of over 2,000 Late Jurassic specimens from the Kimmeridge clay of Britain. His finds include the world’s first ammonite eggs and the largest collection of pterosaur remains. In 2016, he opened The Etches Collection Museum of Jurassic Marine Life in Kimmeridge. Dame Jennifer Roberts (Honorary Doctor of Letters) – The Honorable Mrs Justice Roberts graduated from Southampton Law School in June 1986 with a first-class degree. She was called to the Bar by Inner Temple in 1988 and enjoyed a successful career, taking silk in 2009. She was approved to sit as a Deputy High Court Judge in 2012 and became a justice of the High Court in June 2014. She now sits full-time in the Family Division. Professor Brian Schmidt (Honorary Doctor of Science) – Professor Schmidt is the 12th Vice-Chancellor of the Australian National University (ANU). Winner of the 2011 Nobel Prize in Physics, Professor Schmidt was an astrophysicist at the ANU Mount Stromlo Observatory and Research School of Astronomy and Astrophysics before becoming Vice-Chancellor. In 2014, he became a Diamond Jubilee International Visiting Fellow at the University of Southampton. Professor John Shepherd CBE (Honorary Doctor of Science) – Professor Shepherd has devoted his career to studying a wide range of controversial environmental issues, including the management of marine fish stocks, the decommissioning of offshore oil and gas installations and climate change. In 1994 he joined the University of Southampton and was appointed as the first director of what is now the National Oceanography Centre Southampton (NOCS), a position he held until 1999. From 2001 to 2010, he was a Deputy Director of the Tyndall Centre for Climate Change Research and until recently was Chair of the Scientific Advisory Group of the UK Department of Energy and Climate Change. 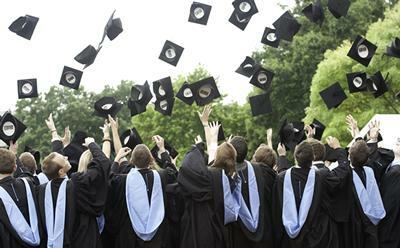 Southampton’s graduation ceremonies will be held in the Turner Sims and the Nuffield on the University’s Highfield Campus from Wednesday 19 July to Thursday 27 July.